I actually forgot to mention this earlier, but in our Patreon, I quite recently uploaded the next extra chapter that will be printed in the second book once I get around to it! It's available to those who pledge us at the $10 tier and more. The reason it's a higher tier product is because I'm not planning to digitally sell this chapter, so it'll be available exclusively through Patreon until it's been printed out. 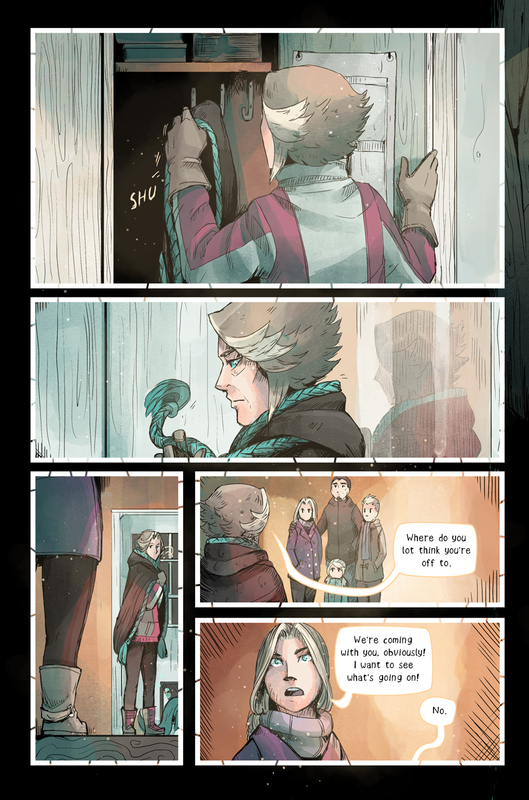 :3 It's 8 pages about Jaakko and Veeti while Mika, Sakari and Ieva are still on their journey and Veeti has been awake for a couple of days.